A game that I am nearly prepared to run, Terra Ultima is a science-fantasy setting, with some mild changes from the basic Swords & Wizardry: Whitebox rules. Here are most of them. Stats are rolled 3d6 in order. Additional stat: Social Standing. Only three classes are available for Humans: Fighting Man, Magic User, and Rogue Magic User. Levels above 10 require 2X the number of experience points as the previous level, but humans have no limits. Rogue Magic Users use the Cleric experience chart, but gain spells as per the Rogue in Savage Swords of Athanor. Skills are taken from Savage Swords of Athanor, as well. Choose one from Group I or two from Group II. Other skills may be available, ask the Referee (specifically, any Secondary Skill listed in the 1E DMG is probably available as a Group II skill, except Trader). The races available, other than Humans, include Dwarves (who may choose between two classes, Fighting Man - limited to level 6 - and Crafter, a special class limited to level 8), or Elves (who must choose between Fighting Man and Magic User at moonrise each day, limited to level 4 in the former and level 8 in the latter). Hit dice are rolled at each new level gained, with a minimum number of hit points equal to those previously held. In addition, at first level, take the higher of 1 hit die for "normal man/dwarf" status or the hit dice of first level (so that a human Magic User or dwarven Crafter would roll 2d6, taking the higher of the two, or a human or dwarven Fighting Man would roll 1d6 and 1d6+1, taking the higher result), while elves roll 1d6 for 1st level Magic User and 1d6+1 for 1st level Fighting Man, taking the higher of the two. Magic Users start with a free spell book containing Read Magic and three other spells chosen randomly. Magic Users and Rogue Magic Users may cast any spell from a list that includes spells from both the Magic User and Cleric lists in the Whitebox rules (at first level, this includes all of those on the Magic User list (except Light, but read further), plus Cure Light Wounds, Light (Dark), and Purify (Putrify) Food and Drink). Use the Encumbrance by Stone rules. Money is changed considerably. Most coins are silver pennies or copper farthings. A farthing is valued at one-fourth of a penny. A gold crown weighs as much as five pennies or farthings, and is valued at 240 pennies. 500 pennies or farthings can be carried per bundle, 2500 per stone weight (as noted, a crown coin weighs as much as five pennies or farthings). Starting money is Social Standing x10 pennies. Experience points for treasure are 1 xp per penny. The equipment cost list will be different than that in Whitebox. It will include some science fantasy items taken from Terminal Space. Energy cells will exist and be expensive, however, and there is no space travel. Some more changes from the spell lists include Raise Dead being a 6th level spell, and Astral Spell and Restoration (from the Core Rules) being 6th level spells. 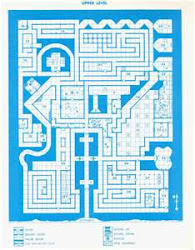 Otherwise, all spells in the Whitebox rules exist, at the earliest level they appear (except Quest, which is a 6th level spell, and Commune, which does not exist - use Contact Other Plane instead, and use the version of that spell in the Core Rules since the Whitebox one doesn't make any sense at all). If there is a Magic User and Cleric version of the same spell, then the Magic User version takes precedence (except in the case of Light). Mounted men are -2 to be hit by footmen; +2 to hit footmen; and +4 to hit in the initial charging round. Footmen attacking mounted roll 1d6: 1-3 attack mount, 4-6 attack rider (mounted attacking mounted may choose which to attack). Charge-round sequence: (1) mount & rider move to lance range, delivering initial attack; (2) mount continues move to first target or one behind it, delivering one hoof/trample/smashing attack; (3) mount & rider continue balance of movement if way is clear. (Additional edit, 27 January 2012): Fighting Men with shields parry normal missile weapons as above, but the shield does not shatter when so used. Unarmed combat will be handled using rules similar to System I from Unearthed Arcana (1E). 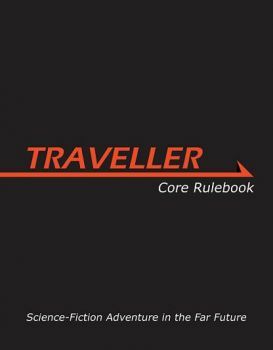 Morale will be taken directly from the rules in the D&D Rules Cyclopedia. A character may fight with a second weapon in his off-hand. This gives a +1 to hit for the character's attack (or attacks, for a Fighting Man of 2nd or higher level attacking 1HD opponents). Missile weapons are given a range 1/2 that listed (for those in Whitebox; Terminal Space weapons exchange meters for feet, then halve, except for Rifles which have a range of 125 ft). They attack at normal odds at up to Short Range (x1), at -2 at up to Medium Range (x2), or at -5 at up to Long Range (x4).